Celebrate the gift of health this Valentine’s Day. 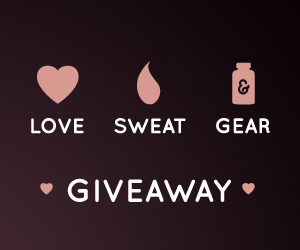 Enter our Love, Sweat & Gear Giveaway now through February 18th and you and a workout buddy could each win: 2 Months of Membership (Love), 2 Months of Body Fit Training (Sweat) and a meal prep prize pack (Gear). This is the perfect Valentine's gift for you and your partner or friend. If prize winner or friend is already a current California Family Fitness member, his or her account will receive an individual membership credit equal to 2 months.